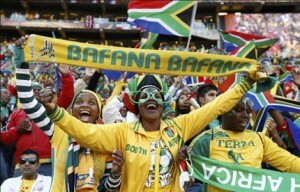 The Local Organising Committee (LOC) of the 2013 Africa Cup of Nations this week announced Port Elizabeth (Nelson Mandela Bay Stadium), Durban (Moses Mabhida Stadium), Rustenburg (Royal Bafokeng Stadium) and Nelspruit (Mbombela Stadium) as the host cities for the tournament early next year. Johannesburg (FNB Stadium) will stage the opening match and ceremony and closing ceremony and final. The 2014 African Nations Championship (Chan) for local-based squads will be hosted by Polokwane, Cape Town, Bloemfontein and Kimberley. The KwaZulu-Natal Sport department says hosting the next year’s African Cup of Nations tournament will not benefit only Durban but the province as a whole. Spokesperson Mluleki Mtungwa said the opportunity puts the province in a position where the province’s infrastructure can be fully utilised.